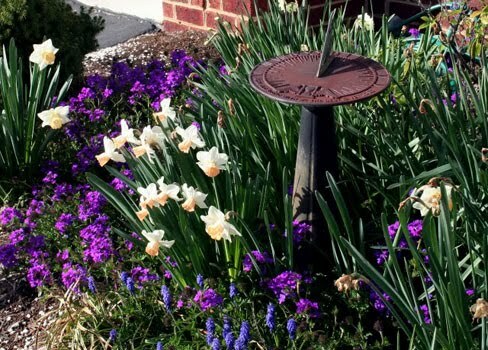 Sundials add an extra bit of flare and spark to your garden area. A beautiful and elegant accent, a garden sundial accentuates the beauty that's already around or starts the transition from ordinary to fantastic. 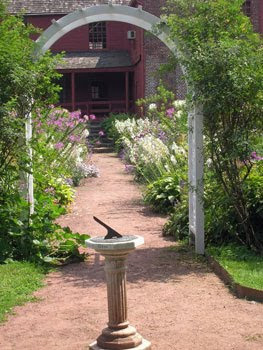 So many designs and sizes make finding the perfect sundial for any garden a cinch. With many parents and grandparents loving to tend to their gardens, sundials make excellent gifts for birthdays and holidays. 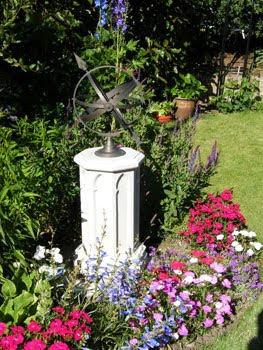 For that mother who loves to make sure that the family roses are in place alongside the mums and lilies might enjoy an armillary sundial planted right in the middle for a touch of sophistication among her vibrant flowers. A quick and easy, yet thoughtful and lovely Mother's Day gift! Garden sundials show a personal reflection on the taste of receiver. Take the time to find the perfect sundial that reflects on personal preferences or hobbies. There are many types of sundials to choose from. Aluminum sundials are light weight and easy to move, perfect for the older grandparents that tend the flowers but don't need to lift too much weight. Cast iron sundials are very heavy, and very sturdy. Most cast iron sundials set directly on the ground or you can mount them upon a heavy pedestal that won't be easily moved. Brass sundials have weight to them and are usually of a different shade than cast irons and aluminum sundials. Most brass sundials have that nice brass finish in lining or detail to illuminate light. Bird lovers, flower enthusiasts, sun and moon admirers, and even golfers have a design of sundial to add to their already magnificent garden area. Everyone can find the look that they need to fulfill mom or dads garden. Give gifts of pure thoughtfulness while being unique and different with garden sundials.